The more complicated a building gets, the more important fire protection becomes. Therefore, it is imperative to use a true expert in installing and maintaining commercial fire suppression systems. 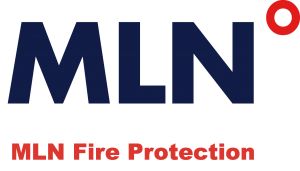 Your success, safety, and protection depend on having someone who will never compromise on standards, so you’ll be happy to know that MLN Fire Protection far exceeds the expectations of building inspectors everywhere. By utilizing the most innovative techniques, including CAD-based software to ensure no detail goes unnoticed, we strive to offer unrivaled expertise in all fire protection systems. At MLN Company, our decades of business in the building services industry has taught us one thing: cutting corners and pinching pennies is a recipe for disaster. Instead, we’re motivated by the vision of your complete and total protection. We keep our focus keenly aimed at designing first-rate, highly-dependable fire suppression systems, ensuring your complete satisfaction and total peace of mind. Trusted by some of the nation’s largest corporations, we’ve designed and installed a variety of code-appropriate fire systems that have reliably protected buildings and their inhabitants for years. From single-story buildings to sky scraping towers, our protection systems and equipment layout designs are leading the industry for effectiveness and cost-efficiency. Find out more about how our expertise in fire protection system design and installation can provide years of dependable protection by calling for your comprehensive building plan assessment now. Call 713-784-7353 for fire protection in Houston, including fire sprinkler inspection, design and installation of fire suppression systems, and more.